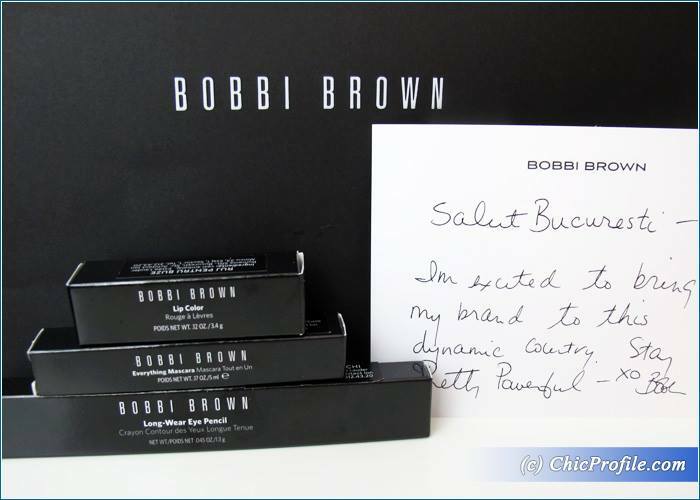 If you are a Chicprofile reader the fact that Bobbi Brown Cosmetics is now available in Romania is no longer a news to you since early October 2015 when Eduardo Ferreira came here at the pre-launch event to present the best-selling Bobbi Brown makeup products. Back in the December, though, the brand hosted the official store opening for Bobbi Brown boutique in Baneasa Shopping Center (ground floor, next to Chanel) and you saw how everything went from my Periscope broadcast. 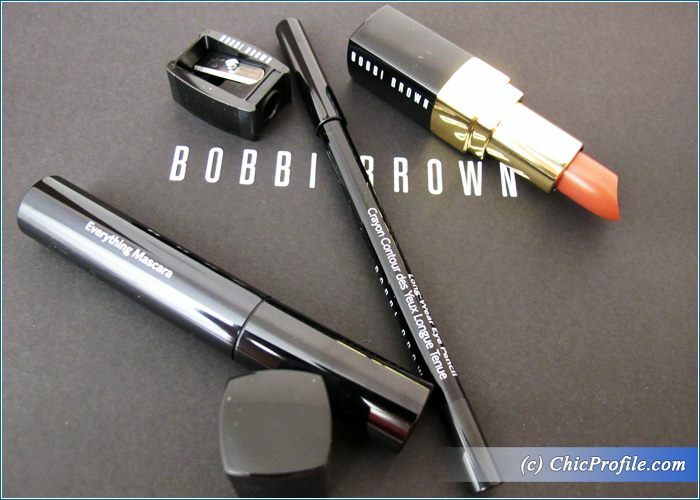 So I won’t make this post about the glamorous store opening evening, but for some of the best-selling Bobbi Brown makeup products which are part of the permanent collection. I brought home with me some of the legendary Bobbi Brown makeup products for eyes and lips and I started using them ever since. I was familiar with her products since I first started blogging back in 2008 and I can still remember how the Coral Sand Shimmer Lip Gloss (review, swatches) got my attention right away and made me fall in love with the brand. 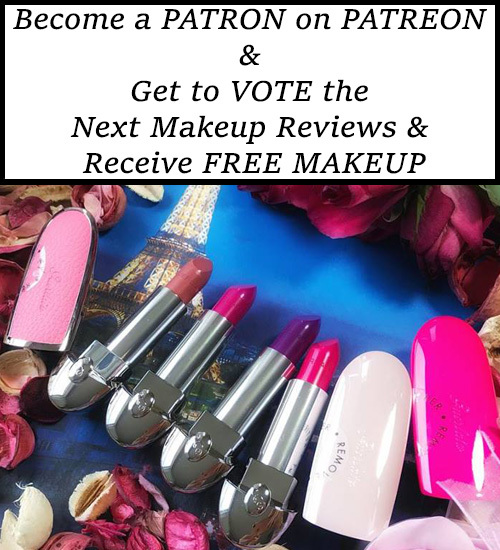 I also tried her famous lipstick line and the one that captivated me back then was Coral Glaze Metallic Lip Color (review, swatches). 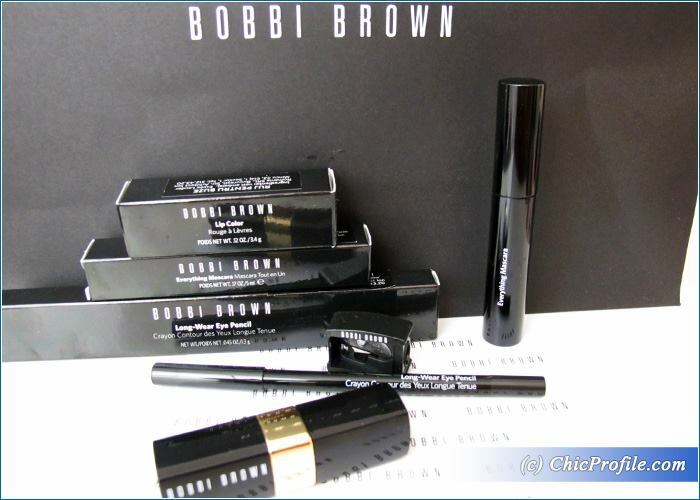 So now, new products joined my makeup collection and I was happy to give a chance to Bobbi Brown Lip Color in Brown (119.00 Lei / $27.00 for 3.4 g / .12 oz) a classy medium pink brown that will complement any skin color. Individual Reviews, swatches and more photos will be posted later on for each of these products as they deserve my full attention and you should really know how they perform. 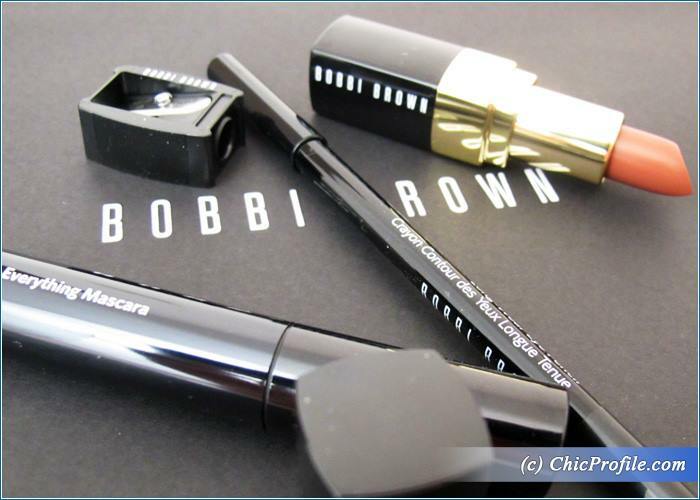 Bobbi Brown Everything Mascara (119.00 Lei / $28.00 for 5 ml / .17 oz) in Black is part of Bobbi Brown’s essentials and is an everyday mascara that resists flaking, smudging, and clumping. 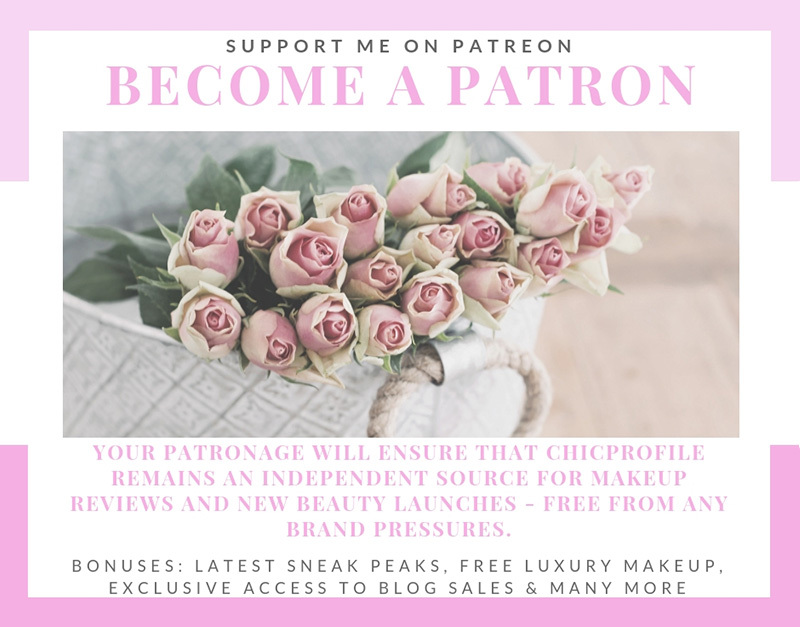 It wont the prize for being the Best Natural Mascara in 2014 on Temptalia’s blog so that really must count of something, as you know Christine is a perfectionist and she always gives her readers the naked truth about every product. 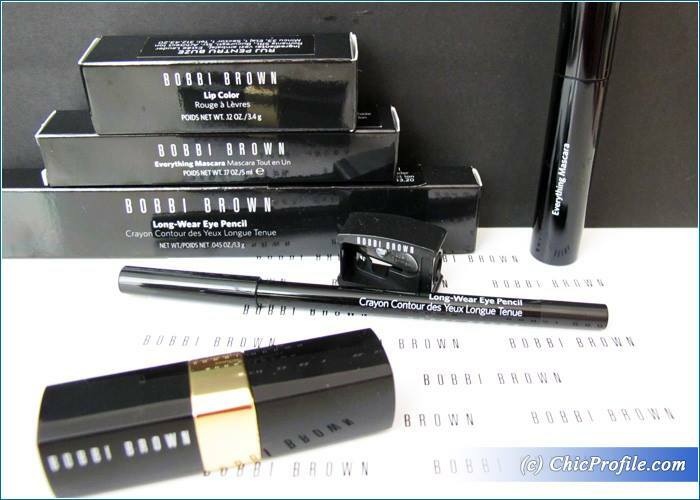 Bobbi Brown Long-Wear Eye Pencil (109.00 Lei / $26.00 for 1.3 g / 0.04 oz) is a long time customers’ favorite due to its pigmented-rich color and a formula that not only promises to stay put for 12 hours but it’s also waterproof, smudge and transfer-resistant. The good news don’t end here, as this Long-Wear Eye Pencil comes with a sharpener included so you can ensure your pencil-point precision. How you choose a perfume – gift?